Leidy Garcia is April’s Rising Star Employee of the Month! Leidy Garcia, BRAVO! employee at Urban Outfitters Headquarters in Philadelphia has been awarded “Rising Star Employee of the Month” for April 2018. The BRAVO! team thanks Leidy Garcia for her hard work and dedication. 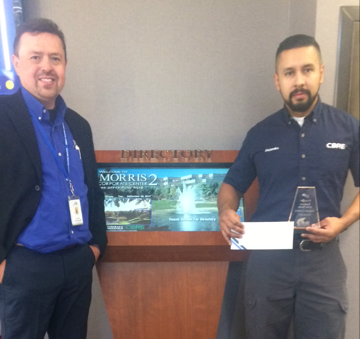 Carlos Palacios is January’s Rising Star Employee of the Month! Carlos Palacios, BRAVO! 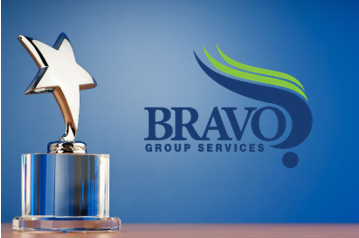 supervisor assigned to Keystone Properties in our New Jersey region, has been awarded “Rising Star Employee of the Month” for January 2018. The BRAVO! team appreciates your dedication, hard work, and your focus on customer satisfaction. Thank you for your dedication and commitment to quality work! Maria Cruz de Hernandez from Glaxo Smith Kline, Upper Merion site, has been awarded “Safety Star of the Month” for August 2017. Thank you for your commitment to make your workplace a safe work environment.